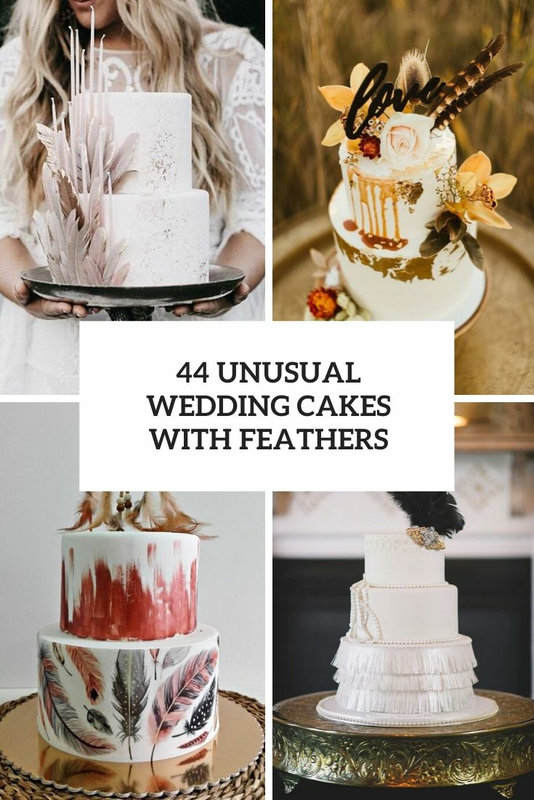 Today designers incorporate feathers into classic bridal gowns, many couples choose wedding décor details with feathers, and this trend becomes more popular every day! 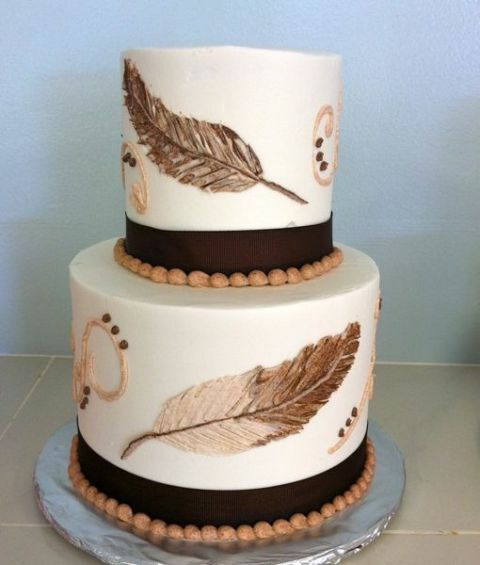 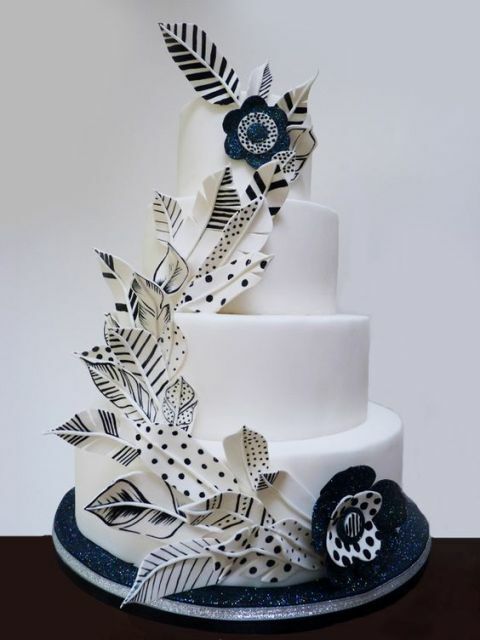 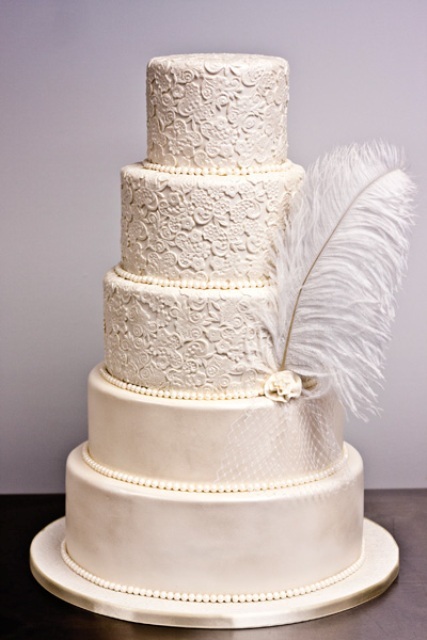 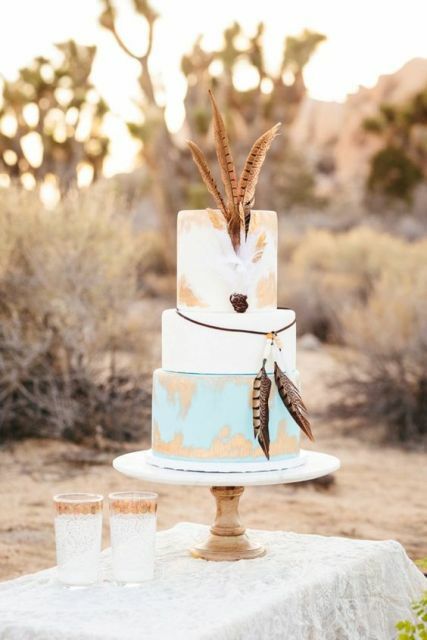 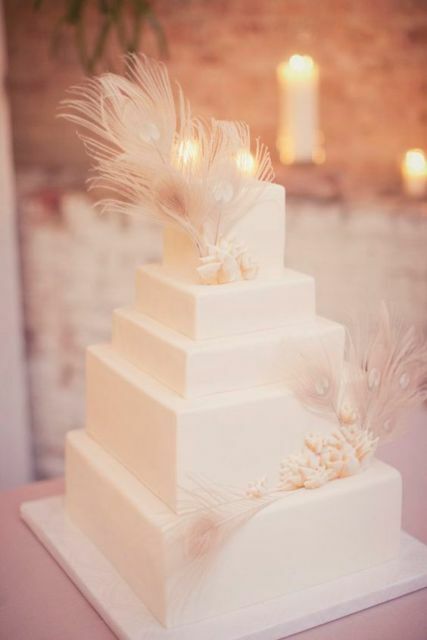 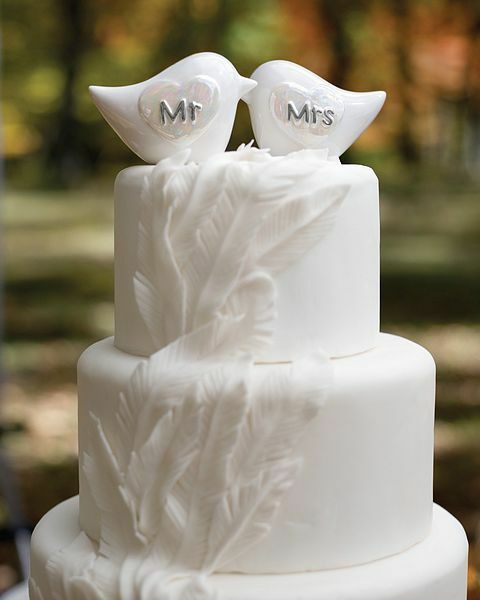 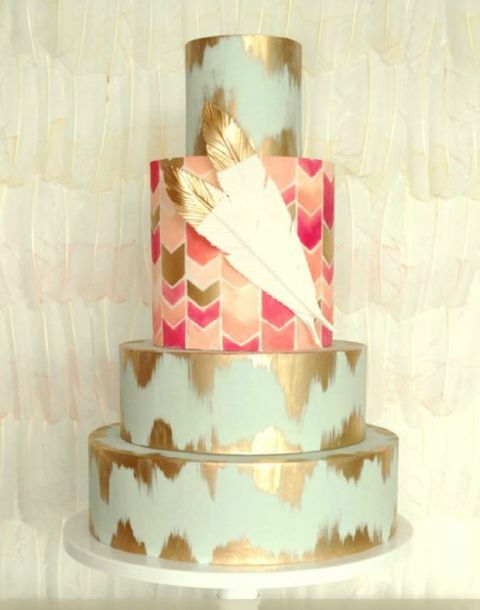 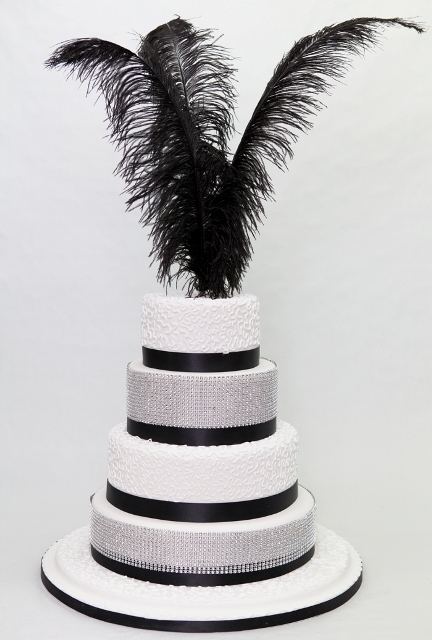 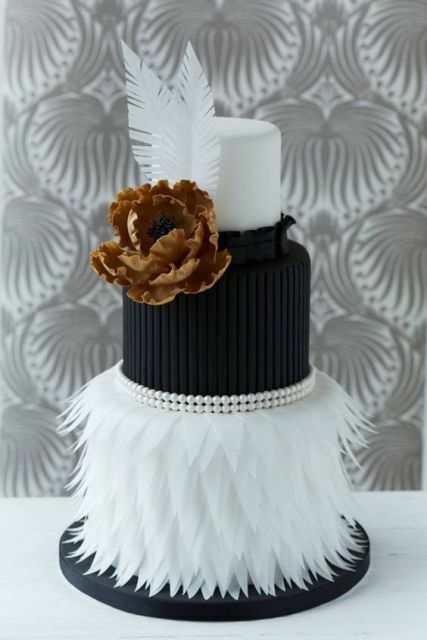 And of course we should tell you about wedding cakes with feathers. 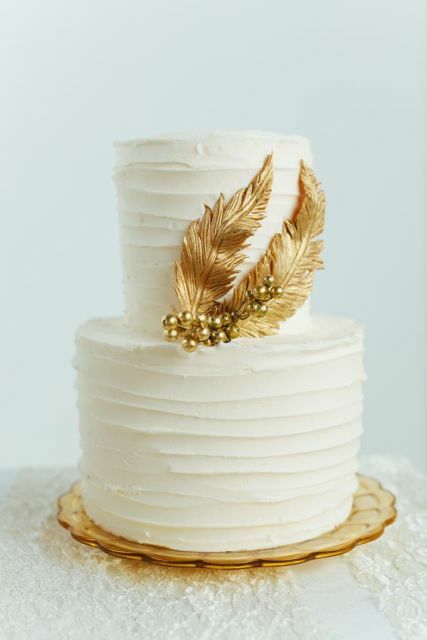 There are so many various ways to decorate your cake with them, so we’ve collected the most beautiful ones. 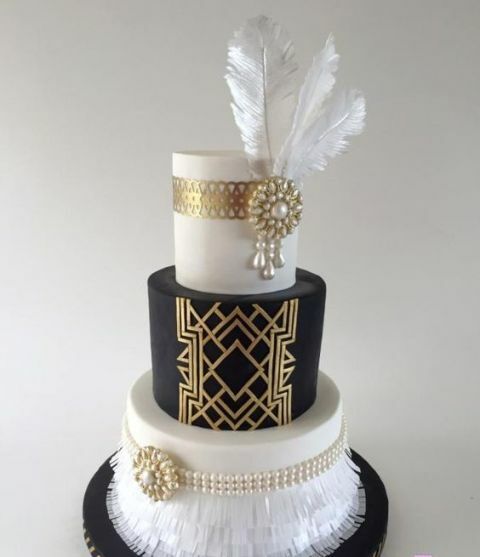 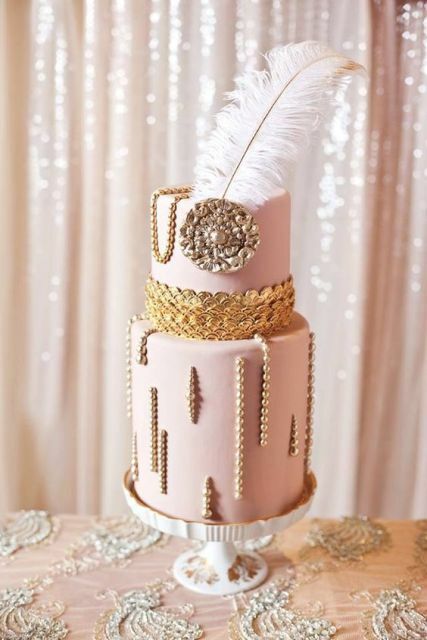 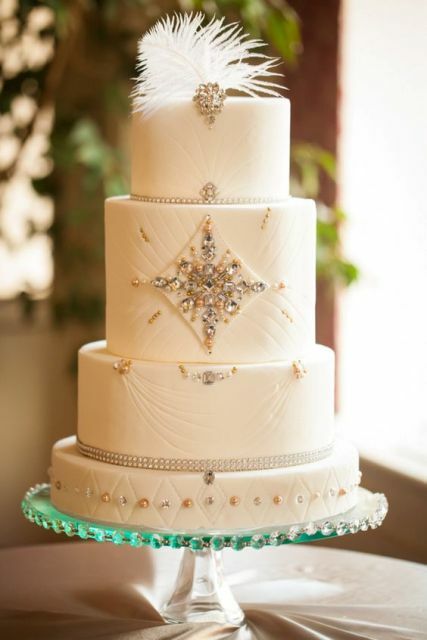 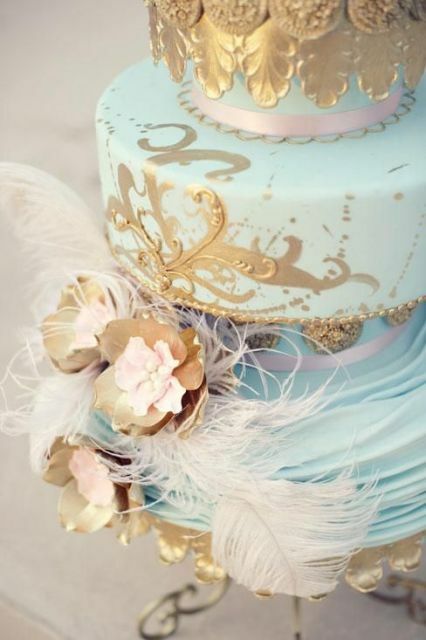 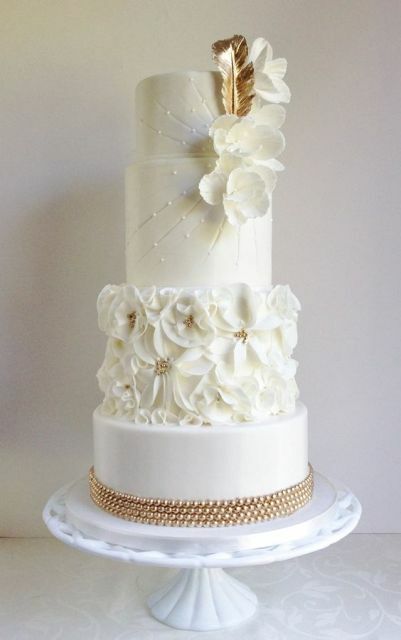 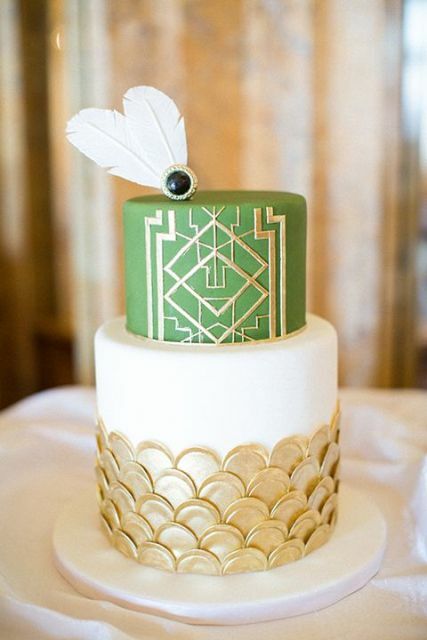 For a vintage styled wedding you can decorate your cake with beads, gems, sparkling ribbons and one big feather. 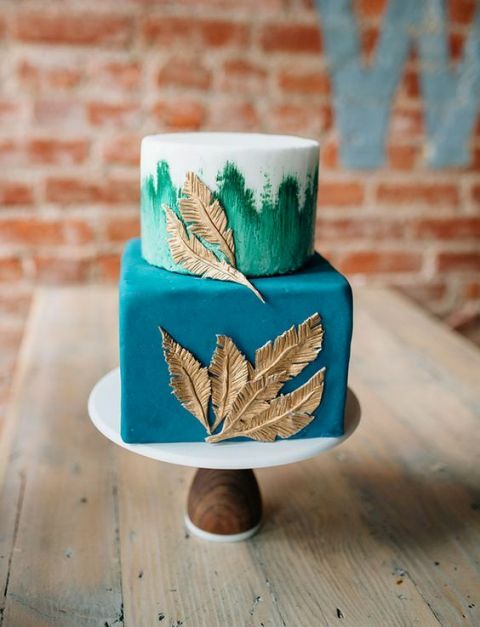 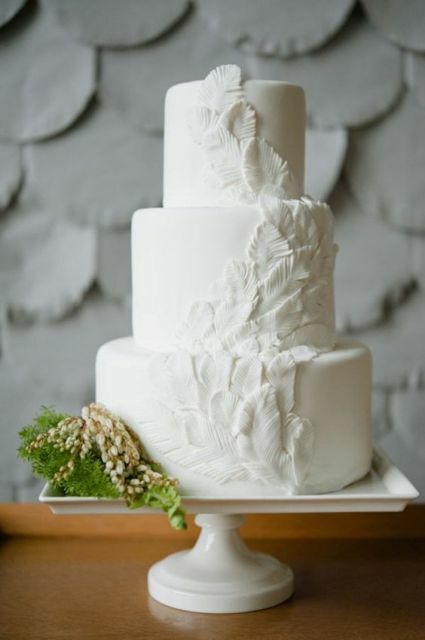 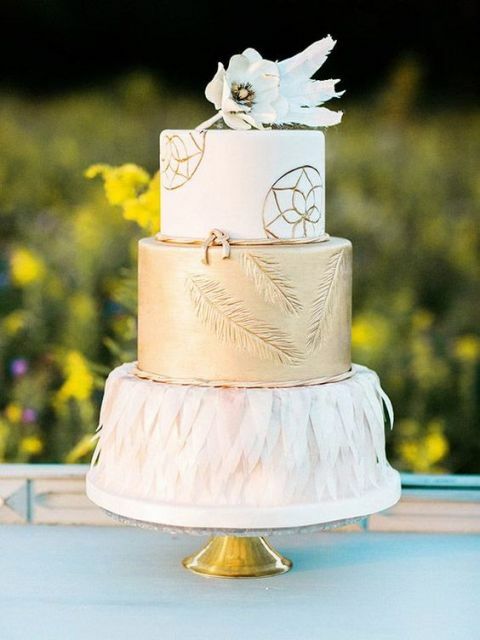 And for boho chic wedding you can make an elegant cake with several little sugar feathers and unique flowers. 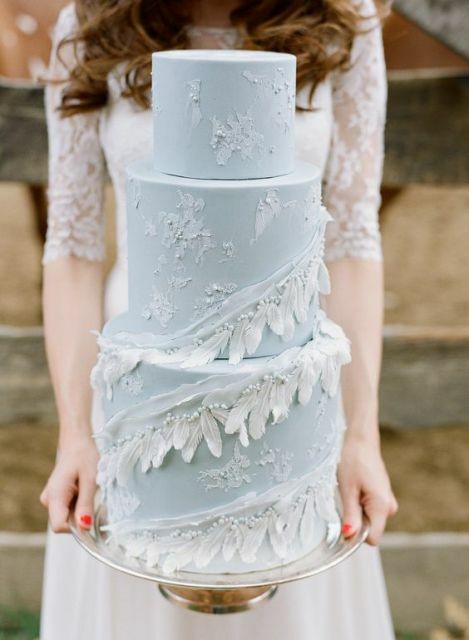 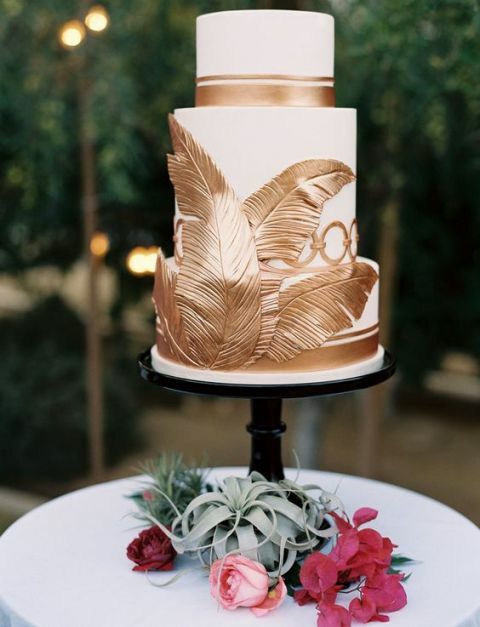 For more inspiration look at pics below and who knows maybe you’ll find the wedding cake of your dreams!